We are so excited to have our Industrial Vintage Inspiration shoot we did with Danae Grace Events featured on 100 Layer Cake! Danae worked with us to put this shoot together in under 2 weeks. It was incredible when it all came together. Here is what Danae says about the inspiration behind the shoot! Here is what Danae says about her inspiration behind the shoot! As a designer, you see trends coming and going. What I love to create and design is a timeless look with unique details that not only encompasses the vision of my clients but inspires others. With the winter season upon us, I wanted to use florals and foliage that are in season but also would create a vintage and industrial style. 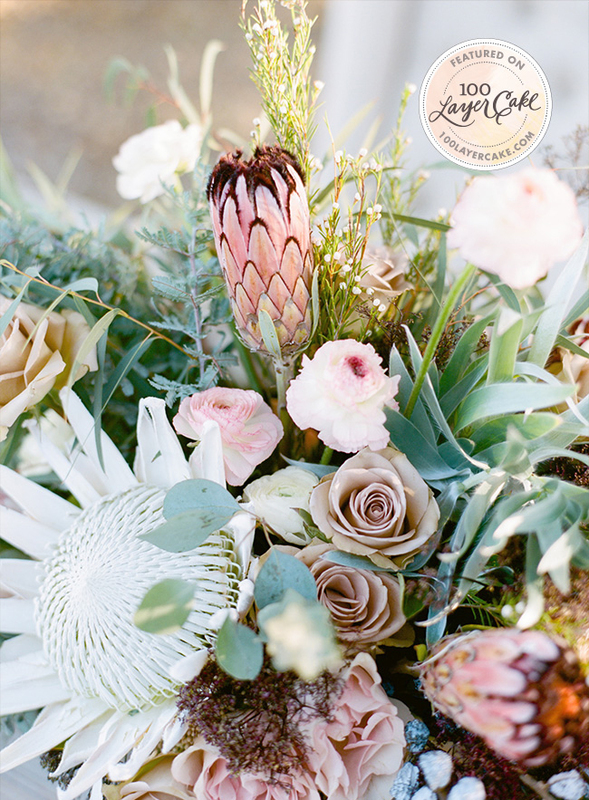 Proteas are gorgeous flowers as they have a grand essence about them and I wanted them to be part of the statement look.